Magicians tend to think more in terms of working for other magicians at the local club or magic conventions. A less fruitful way of obtaining work or improving performing skills for real (i.e. paying audiences) can scarcely be imagined. 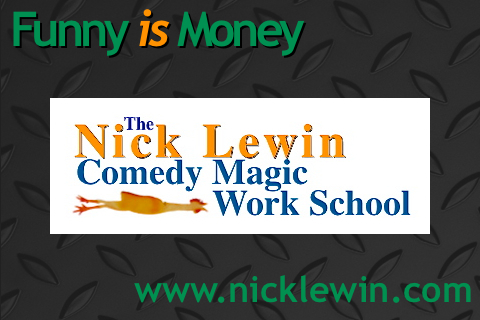 However a small group of magicians can create a showcase that can result in actual paying gigs. Don’t expect the showcase to make much money for you, just use it to garner exposure to some potential paying clients. Decide on a market that has some potential for development in your town. Private parties, fundraisers, kid’sshows, promotional shows etc. Then market your show (case) for the kind of people who book them. Make sure you present the very best entertainers in these areas; not just the hotshot from the local club that the other magicians adore.He might well bore the pants of a ‘real’ audience. When you get a nibble from a potential buyer is when you can harvest the full benefits of your group activities by engaging in some subtle ‘up-selling.’ See if you can add a couple of close up guys to an after-dinner show or alternatively if someone wants a close-up show then try and pitch an after-dinner performer. There is only strength in numbers when you work together. Think like a team and work as a team and you might be surprised at the doors that open, at the very worst you will learn a lot about the very real skills of producing an event. The other added bonus is that you will be improving those performing skills, which are the true bread and butter of a busy working pro. Events of this kind are the way comedy clubs sprung up in the early 80s. Plan and execute a successful event on a regular basis (once a week or once a month, as long as it’s consistent) and see where it can take you. Let me assure you that each month Jeff McBride’s ‘Wonderground’ in Las Vegas attracts a sizeable crowd that many major casino showrooms would kill for. Monday Night Magic in New York and the Mystery Lounge in Boston do the same on a weekly basis. If you want to be in show business then you had better put on a show! No more bitching about no work, get cracking on finding it! ~ by Nick Lewin on November 20, 2010.